As we discussed in our earlier post on the Citizens United decision, corporations will now be able to freely insert large sums of cash directly into political campaigns to support candidates suited to their interests. Those of us on the left who could foresee a President Sarah Palin sponsored by Chevron and Goldman Sachs, sounded the alarm, as did President Obama in his State of the Union address regarding the danger of allowing companies with endless profits to unduly influence our free and fair elections. Well, now we have perhaps the first well publicized case of a corporation using it's brand new Supreme Court issued freedom to spend spend spend on a political campaign, with Target donating $150,000 to a conservative pro-business group that is backing Tom Emmer, a candidate for Governor of Minnesota, who has a less than stellar record on gay rights. Enter, the backlash. 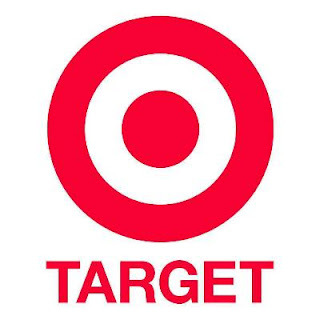 LGBT groups are not having any of it and have spoken out against Target's financial support of Emmer and some are even calling for a boycott of Target all together. One Minnesota consumer, the pro-gay rights Randi Reitan of Eden Prairie, made a YouTube video of her personal protest. Reitan returned $226.32 worth of items to a Target store, and cut up her store credit card, explaining that she wanted equality for her gay son -- equality which she says Emmer won't support. So should all of us who believe in equality for everyone boycott Target? Something tells me they'll get their money back before any significant boycott takes place but we shall see. I do love me some Target too, lets hope they do the right thing here and are much more thoughtful with their campaign donations in the future.